The western show roller bit is a great bit for those looking to transition from a broken snaffle to a solid mouthpiece. The copper roller in the center encourages a horse to be supple and allows for tongue relief. The shanks are long and curved to allow better rider to horse communication. The hand engraved silver overlay accents the bit, making it not only a great bit for everyday riding but a stand out bit the show arena. 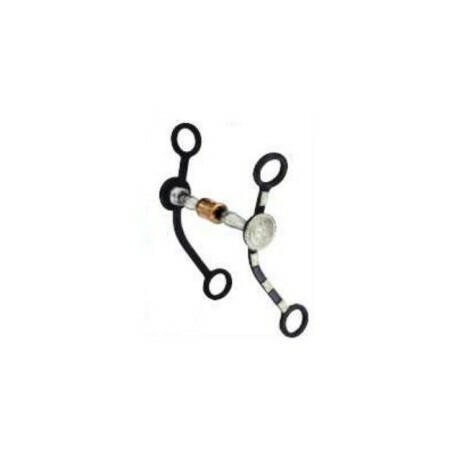 So it you are looking for a bit that will enhance any headstall you have found it in the Western Show Roller Bit.